The front panel for the upcoming iPhone 5 may have just been leaked again, showing off a bigger screen. According to Chinese blog MyDrivers, the image has arrived via supply chain sources, and shows that the sixth generation of iPhone may sport a screen 30 percent bigger than the 3.5-inch offering on the iPhone 4S and co. Apparently touch sensors have been integrated into the LCD itself, reducing the number of layers for the screen and thus providing Apple with a slimmer display, meaning the iPhone 5 could be the thinnest iPhone yet. 4-inch display and dual-core processor? Of course these "supply chain sources" are very hit and miss with their leaks, so there's no guarantee the image is the real deal, but it does look very similar to previous leaks we've seen. It's thought that the next generation of iPhone will sport a 4-inch display and a dual-core processor, along with 1GB of RAM and NFC technology. Apple revealed iOS 6 last month, the latest version of its mobile platform, which is due to land on devices this autumn – possibly coinciding with the launch of the iPhone 5. As always, there's been no word from Apple on the next iteration of its iPhone range, but we hope to see something announced come September or October. 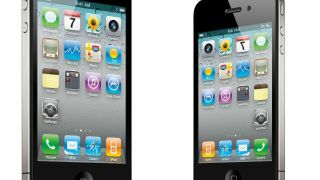 In the mean time keep up to date with our iPhone 5 release date, news and rumours article.